Ten short stories are woven together through settings and characters around life in New Zealand. Each story is very character driven as we are given a peek into their lives and what brought them to this place. Many of the stories share sacrifices and mistakes made. A few will fill you with sadness. One story even uses a mythical creature to carryout the character’s final moments. The final story is written by a guest writer, Shelly Davies. She brings in the Native American piece and builds upon one of the previous stories, tying them together. Overall, I found it to be an enjoyable read. Since I read this on my kindle, it wasn’t as easy to flip back and forth and remind myself of certain characters. You may want to keep a list of characters from each story as you read, since many appear again. Women are the main focus in each story, but there are strong male characters as well, although they will likely make you angry. Burns writes in a way that you can feel the anger, despair, and solitude of the women’s lives. I can’t really say that I had a favorite of the stories, but I found “Dottie” to be one that I am still thinking about. In “Dottie” a lonely widow becomes a place for unwed mothers to leave their babies, hoping to return with they can get back on their feet. Unfortunately, there are no babies when they return. “Dottie” tells the story of a woman who tells herself she is doing a good thing, a baby fighting back against her destiny, and a community who can’t believe the kind of woman she was. If you like short stories or historical fiction then I would expect you to enjoy this collection. It is a quick read, but you could also read each story at your leisure, especially if you keep a list of characters. The stories are a bit depressing, but you will be able to find a slivers of hope. Rebecca Burns is an award-winning writer of short stories, over thirty of which have been published online or in print. She was nominated for a Pushcart Prize in 2011, winner of the Fowey Festival of Words and Music Short Story Competition in 2013 (and runner-up in 2014), and has been profiled as part of the University of Leicester’s “Grassroutes Project”—a project that showcases the 50 best transcultural writers in the county. In November 2014 she won the Black Pear Press short story competition with her story, “Seaglass”. Rebecca’s debut collection of short stories, “Catching the Barramundi”, was published by Odyssey Books in November 2012. In March 2013 it was longlisted for the Edge Hill Short Story Award. 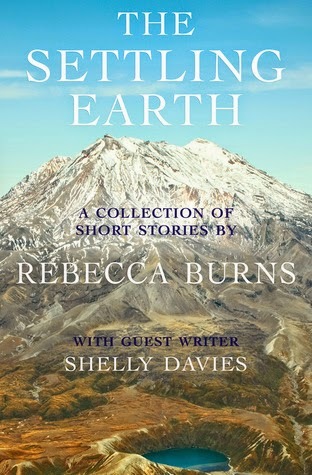 The Settling Earth is Rebecca’s second collection of short stories. For more on Rebecca Burns, check out her website, http://www.rebecca-burns.co.uk/. Thanks to the author for sending a copy of this book for review. This review is my honest opinion. I was not compensated in any way for this review. If you choose to purchase a copy of this book through the above link, I may receive a small commission without you having a pay a cent more for your purchase. Thank you for supporting SincerelyStacie.com.